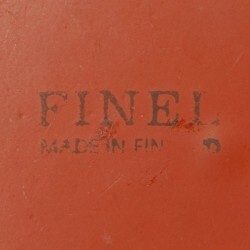 Original enamel bowl of the Finnish brand Finel designed by Kaj Franck. 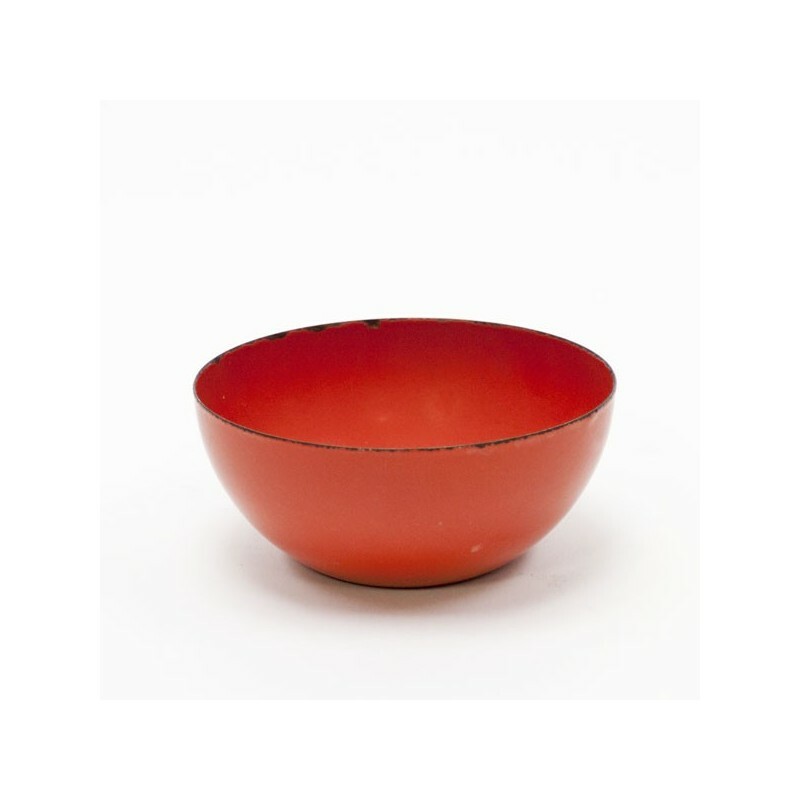 The bowl is orange in color and marked on the bottom. The condition is reasonable, but there are some dents from the edge, see deltailfoto's. 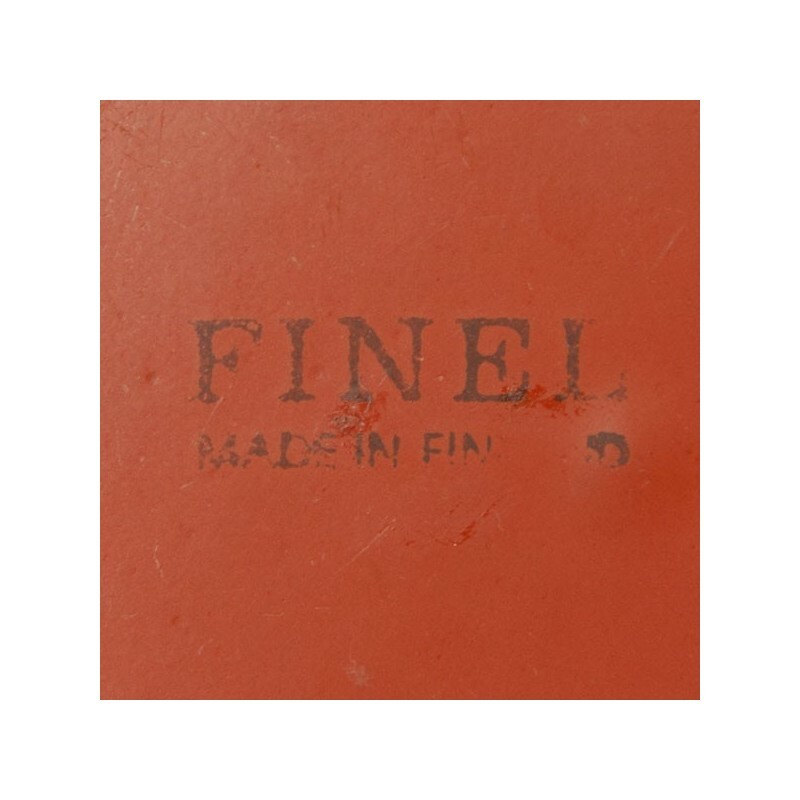 The size is 16 cm in diameter.